seeks to defuse and actively resolve high-conflict disputes, and facilitates the smooth progress of complex matters, whether financial or child-related. Services offered: legal advice, court paperwork, collaborative law, negotiation, court proceedings, advocacy, arbitration. Directories: Simon is ranked as a Band 1 practitioner in Chambers & Partners (2017), which says, ‘Simon Bethel is sought after for his expertise in children law disputes as well as his ability to handle high-value matrimonial cases. 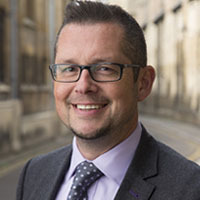 He is an accredited collaborative law practitioner, and peers comment: “We can have very sensible discussions to cut through and find solutions.”‘ He is also recommended as a leading individual in the East Anglian region by the Legal 500 (2017) which refers to him (and Tricia) as ‘highly rated practitioners’.